So, you’ve made it. You finally got that truly critical review of under 4 stars. You start to get a little angry, maybe you’re wondering if they even read it? Maybe they didn’t, but I’d bet they did, and here’s why I think it is a good thing. On Amazon, the three star rating is “It’s Okay”, not “I didn’t like it” or even “It was bad”. That means the person that read it saw it as worthwhile enough to go write a review for, they simply weren’t touched by it. At the time of this typing I have one three-star review, it was the very first one I had post. My novel sat there for a week, stuck at a three star total. Not only did the reader take the time to write the review for me, she also took the time to send me an email. She detailed, in her opinion, why the book was three stars. Others have liked it more, but the information that she sent me has been invaluable in my editing of books I haven’t released yet. I’ve said before, and I’ll reiterate for those who don’t read all my posts, I don’t read books that don’t have at least 1 three star or lower rating. This may sound extreme, but a lower rating means people are reading your work critically, you are making them think in some way. Maybe not in the way you hoped, but thinking none-the-less. Here are some reasons why I’ve given three stars; there are many others I’m sure. The story wasn’t fully fleshed out or I felt it missed important details. Leaving cliffhangers is one thing, putting in details to never touch again is another. If the novel not only takes the long way around the barn but runs off into the toolies, a three star is in your future. It doesn’t mean I disliked the outcome, only that it could have happened in 300 pages, rather than 600. Editing is important. Even if you are just starting and absolutely cannot afford an editor, have friends read through it. I don’t mind a sprinkling of mistakes, they are even in traditionally published books, but if the problems are pervasive and enough to yank me out of the story, then I will give a three star. 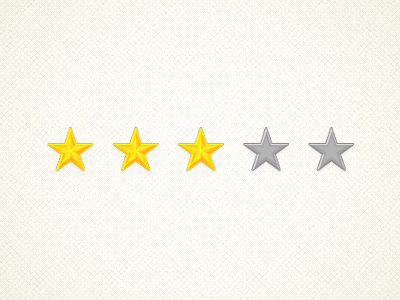 These are the most common reasons I use for giving a three star review. A critical review gives us a chance to grow and learn. We can’t get better if we continually receive praise for our work, though I know the high reviews feel good. Three stars will probably always hurt a little, especially those who were unkind, but see it as an opportunity. A three star reader may still pick up another of your books, whereas a one or two probably will not. Everything is relative and you can’t please everyone.